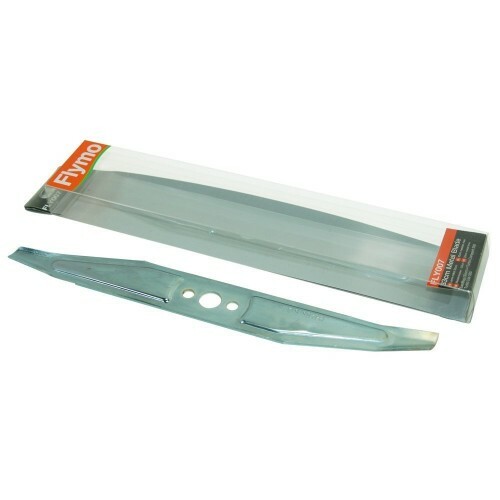 text_model Flymo Genuine Part Number 5118357903 33cm Metal Lawnmower Blade. Suitable for the following: Flymo We have everything you need to keep your garden looking neat and tidy, including a huge range of Flymo garden appliances as well as all the genuine Flymo spare parts you need to keep your existing Flymo in full working order. Whether you're looking for lawnmower blades, trimmer line or even a new chainsaw you're in the right place. Next day delivery available. Should you require the model number of your appliance for identification purposes, for example, when looking for spares and accessories on this website or when organising a repair; In the first instance always refer to the manufacturer's instruction manual which would have been included with the product at point of purchase. In a lot of cases information found here is all that will be required. For those manufacturers that do use specific model/serial numbers, these are usually found on stickers or rating plates found in less visible areas of the product.